Photo: Looking south into Wild Horse Canyon. Eastern Mojave Vegetation Looking south into Wild Horse Canyon. This photograph is looking south into Wild Horse Canyon. While the flat in the foreground is completely burned, there are some very large unburned patches on the slopes of the mesa. Photograph taken June 27, 2005 by Phil Woodall, used by permission. Wild Horse Canyon Road - Mojave National Preserve: in Wild Horse Cyn. 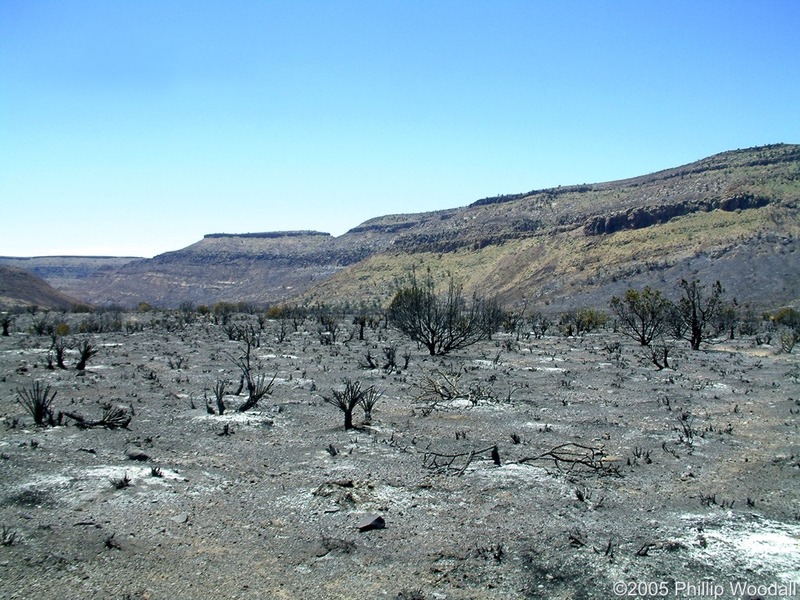 Effects of the Hackberry Complex Fire in Mojave National Preserve, June 22-25, 2005.: 232550. Other photos about Geography - Eastern Mojave or Wild Horse Canyon.